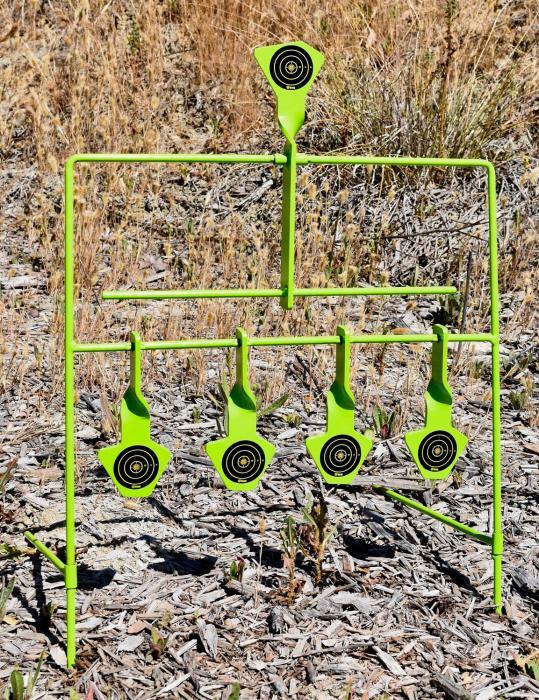 The SME Folding Reactive Target features 5 floating, high visibility targets that are rated for use with firearms up to 22 caliber. The 4-leg design offers stability during repeated impacts. After you have hit all the lower plates, reset them without leaving the bench by hitting the top target. All targets are 2.25" in diameter.